Kirton Holme Golf Club held their annual Captain versus Vice Captain match on Sunday. The contest was played in glorious conditions, better than the forecast threatened. 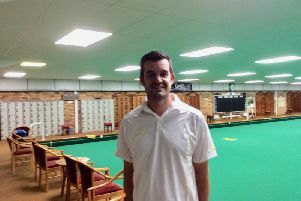 This match is usually a closely-fought affair, but this year Captain Barry Hunt and his team romped away with victory. The Vice Captain’s team could only manage one win, the final score being 5-1 to the Captain’s team. Kirton Holme’s Men’s A team recorded their first win of the year by beating Thorney Lakes 3.5-2.5 at home. Pictured are the Captain’s team.